Presentation of Michael Borek's photographs in the Czech Republic presenting works from his projects Wide Asleep/Half Awake, Urbania, Scranton Lace, an What Would Sudek Do? Michaek Borek, a photographer and interpreter now based in Washington, D.C., is originally from Prague. In 2006, Borek became a member of the Multiple Exposures Gallery in the Torpedo Factory in Alexandria, Virgina, and he started showing his photographs. In 2008, he had a solo exhibition at the Czech Embassy in Washington, D.C., and in 2009, he was a featured artist in the Rayko Gallery in San Francisco. 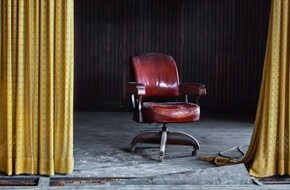 During the last three years, his photographs from the abandoned lace factory in Scranton, Pennsylvania, were selected for juried shows by curators from the Corcoran, Whitney, Hischhorn, Getty, and Phillips museums. One of them won second prize in the international competion of FotoWeek DC in Washington, D.C. In 2011, one of Borek's solo exhibitions was ranked as one of the ten best photography shows in Washington, by photography critic Louis Jacobson. in 2012, the Maryland State Arts Council awarded Borek an Individual Artist Award and Grant. The exhibition will be open till June 21.